Please join us Thursday, July 3rd, 6-9PM for Whitefish Gallery Nights!! 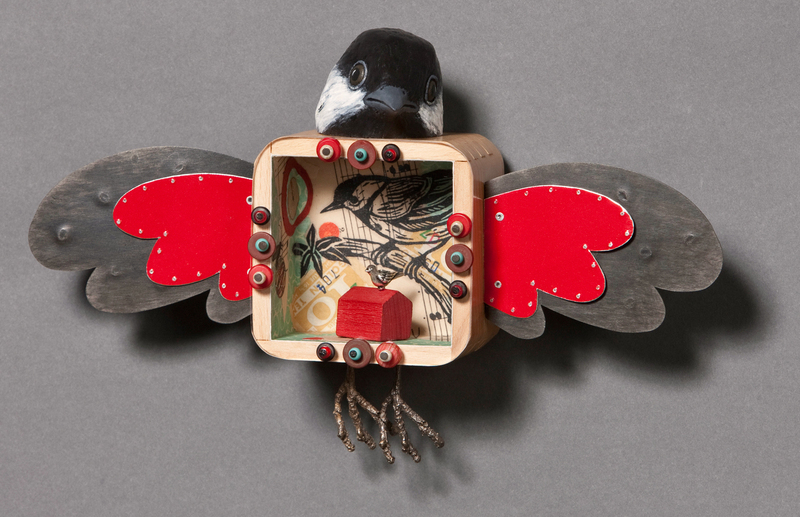 We will be featuring Bozeman artist, Vicki Fish and her “whimsical mixed media constructions”! Fine art & refreshments! For more information call 406-863-ARTS or go to http://www.whitefishgallerynights.org!! Vicki is known for her sometimes serious, sometimes whimsical mixed media constructions that tell stories, reflect on the human condition, and relay the ironies of life’s situations. 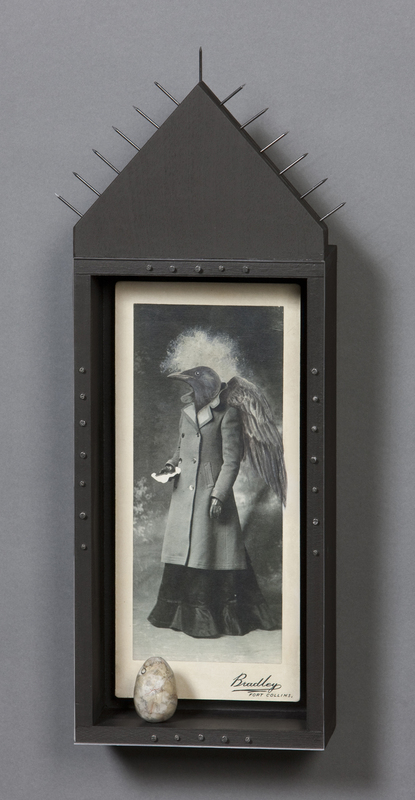 Her work is influenced by myths, the animal world, humor, personal journeys, & human nature.